David Hall was a child in the 1950’s, an era where children should be seen but not heard and youngsters were chastised if they spoke out of turn or interrupted an adult who was speaking. This concept was the essence of the song Little Children by Billy J Kramer & The Dakotas which was No. 1 in 1964. However, in recent times the watchword has been transformed to children should be heard with young people now encouraged to partake in decision making committees at school, some make TV programmes one each year for the BBC and some become Authors at an early age. The following interesting interactions have taken place with children who David has met whilst undertaking their Grandad’s funeral. 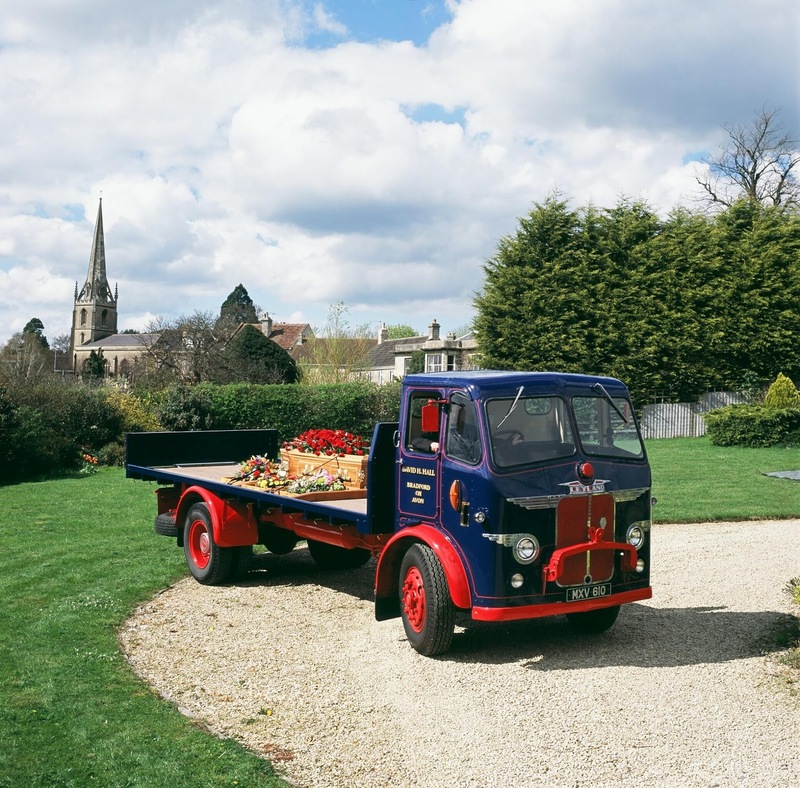 The marketing of Vintage Lorry Funerals started when David gave Richard Simpson, Editor of Trucking Magazine, the exclusive on his business venture and Richard ran a 4 page feature on the 1950 Leyland Beaver’s new role. A Photographer left his home near Ashford in Kent and drove to Bradford-on-Avon to undertake a detailed photo shoot of the vintage lorry. At the end of the session David asked if he could have his own picture and climbed into the cab, placing his right forearm on the open cab door window, adopting a 1950s Lorry Drivers pose. At that moment the sky changed and an atmospheric picture was captured, featuring a John Constable like sky. David has used this picture as his main marketing image for the past 14 years. Just about this time a young Grandson would travel with his Lorry Driver Grandad during his school holidays and the young lad was shown the Trucking magazine featuring the Vintage Lorry Funerals article. This lead to Vintage Lorry Funerals first opportunity in Ross-on-Wye and to reward the young man for his help David offered to take him in the cab, sitting him on the engine-cover, between David and the Funeral Director. The young man was obviously upset loosing his Grandad so David decided to distract him by showing how to double-de-clutch. David said that he would act as a robot and only act when the young man instructed. So when changing up into top gear the young man was instructed, when David put the Leyland Beaver in neutral, to count to 5 to let the engine revolutions die down before shouting ‘change’ and David then put his foot on the clutch and moved the gearstick into top gear. On the journey to the cemetery a number of gear changes took place and this proved to be an ideal distraction. The picture below was taken to provide the young man with a lasting memory of the day, and it is understood that he is now a skilled Motor Mechanic. It wasn’t a day to smile for the camera as the young man had just seen his Grandad’s coffin being lowered into his grave. David was taking pictures of a Traveller’s funeral outside a house on a busy main road in Mitcham, South London. David was standing on the opposite side of the road with a young Traveller boy close to him. David asked the young boy to get one of the adults to stop the traffic so that he could get a good picture. The young boy, to David’s horror, ran out in front of an oncoming lorry, waving his arms above his head shouting, ‘Stop the (expletive) traffic’ and repeated this 5 times. David was mortified.